As one of the leading siding contractors in Manassas, VA, we highly recommend creating a list of priorities before you start your project. This list will help you and your contractor to focus when faced with challenging decisions during the remodeling process. It helps you avoid costly distractions and gives you a roadmap to reaching your goal on schedule and on budget. Before beginning the remodel, make sure to share your priority list with your contractor. The remodeling process is complex and it is likely that unforeseen issues will come up. As any competent contractor or handyman in Manassas, VA, will tell you, you need to set aside a contingency fund. Establish your budget before your project and add at least 10%. Don’t be tempted to use it for upgrades; this fund is strictly for emergencies. It will allow you to start your home improvement project with confidence and shorten the overall time of your project. As an expert in remodeling and gutters in Manassas, VA, we understand that there is always a chance for delays. By building in some extra days and backup plans with your schedule, you will minimize any delays that will pop up. A flexible schedule allows you to adapt your project to your home’s circumstances immediately. Meanwhile, staying attached to a rigid timeline means further delays as you adjust your plan. Finally, it’s important that you work with the right contractor. Peak Roofing Contractors has over a decade of experience and we are committed to superior workmanship and service excellence. We utilize a proven design build process and work closely with our customers throughout the project. We’ll provide guidance and recommend the best options for your home. 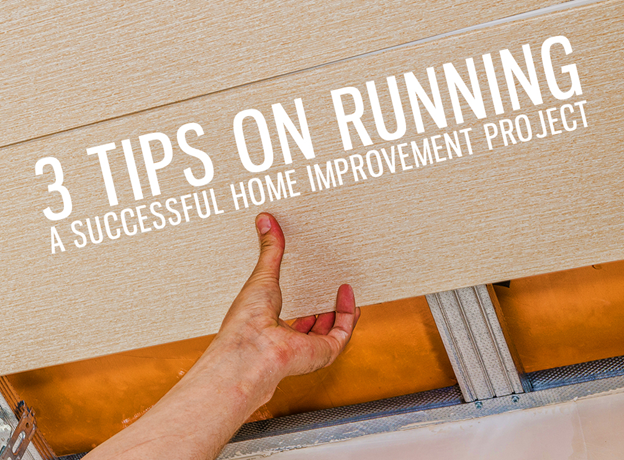 Call us at (703) 745-5153 to learn more tips on running a remodeling or home improvement project. You can also ask for a free estimate.